City officials don't believe that the turmoil in Albany will affect budget matters. Mayor Michael Bloomberg and the City Council reached an agreement Monday on the budget for next fiscal year, raising the city sales tax and cutting hundreds of jobs from the workforce -- but sparing fire houses and key child care workers. Bloomberg and City Council Speaker Christine Quinn cemented the expected deal with a ceremonial handshake in the City Hall rotunda Monday, following tradition. 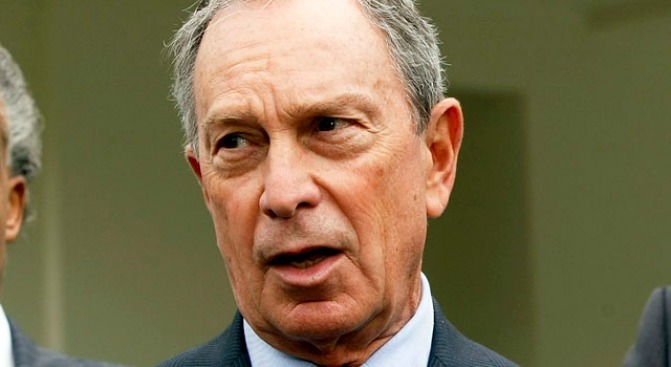 The deal came as a relief to lawmakers and lobbyists who worried that Bloomberg would make good on his initial threat to shrink the work force by up to 14,000, close firehouses, and lay off hundreds of child-care workers and limit library hours. By law the budget for fiscal 2010, which starts July 1, must be approved by the end of the month. "I think they will do the right thing," Bloomberg said of the beleagured state senate. "I don't think there is any major cut that is going to hurt everybody." "Eventuallythey [the Senate] will work out something," added the mayor. "Albany has always given permission for the city toraise or lower any tax it wanted to, as long as it only affects cityresidents, as this does." The mayor first laid out his election-year budget in January and has worked for months with the City Council to negotiate the specifics. As expected, the budget includes a sales tax increase of .5 percent, which officials say will raise more than $500 million in fiscal 2010. The city sales tax would go up to 8.875 after the increase. The budget also eliminates hundreds of jobs through layoffs and attrition. The cost-cutting moves and efforts to raise revenue help bridge what was a $6.6 billion budget gap in 2010. The state must approve the sales tax increase, along with a few other tax measures in the city's budget. A sales tax exemption on clothing is expected to be changed to apply to purchases under $110, and the city also wants to give a tax break to 27,000 businesses headquartered in New York City. The legislature in Albany is in turmoil over which party is in control, but officials said they do not believe that will affect the budget matters that need approval.